Getting a good night's sleep can seem impossible when you do not feel comfortable or have distractions around you. However, there are a few simple ways you can get more comfortable and get rid of distractions to ensure you get a decent night's sleep. Your mattress has a lot to do with how well you sleep. Mattresses need to be supportive while still offering you comfort. If you have a mattress that is too soft or lumpy, you end up constantly moving to find a comfortable position. Constant movement while you are resting can make you feel as though you never get enough sleep. Quality mattresses such as Serta mattresses are designed to provide support and comfort by offering a variety of mattress styles to suit different needs. Whether you’re looking for a standard inner-spring or the newly popular memory foam, any quality brand will have several options. You can purchase great new mattresses at a variety of places; you may want to check them out in-store or do your research online first at retailers like ShopNBC to see what you’re most interested in. Many people say that they do not have any trouble sleeping with a television or radio on. However, even if electronics do not bother you, they can prevent you from completely falling asleep. Televisions emit light and radios can play songs that prevent you from sleeping. Try getting rid of the distractions in your bedroom or turn them off before you go to bed. If you need noise to sleep, consider using a humidifier or fan. If light bothers you and prevents you from sleeping, consider getting black-out curtains for your windows. Black-out curtains can help prevent light from coming through the windows in the early morning or if you live in an area where there is constant traffic. 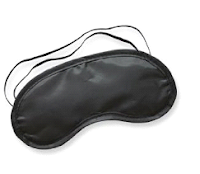 If that’s not an option, even getting a sleep mask, which can be purchased at your local pharmacy, can help block out light. Getting a good night's sleep is vital to your health. Your body needs adequate sleep to function on a day-to-day basis. However, not having the right mattress or sleeping in a room with too many distractions can prevent you from getting the sleep you need. To change your sleeping habits, reassess your mattress and make an effort to get rid of televisions and other electronics in your bedroom. Too much moisture in the air can also cause irregular sleeping patterns. I'm not sure what this condition is called but I do recall reading an article about it. If you're living in Australia, you might want to invest in a dehumidifyer to control the moisture in your home.